“The person you will be in five years is decided by the people you spend time with and the books you read.” I’m not sure who said this, but it’s drenched in truth. Most people, especially church folk, are familiar with the friends connection. But what about the second part? Could the books you read really be the second greatest influencer of your life? At the risk of over-generalizing, I believe so. Reading expands our world, pushes us towards a different perspective, a better, more inclusive, more empathetic one. Books can be our greatest mentor, of sorts, challenging us to become a more loving spouse, parent and leader. When our hope is on its last breath, a collection of words from someone we’ve never met (and likely never will) has the power to awaken us from our slumber. The books you read can change the world you see. Abraham Heschel, a renowned philosopher and activist, once said, “Words create worlds.” As I look at my life, I find his words to be true. The words we read have the potential to re-frame and re-shape the world, even create a brand new one. That’s big time. The past three or four years, I’ve averaged 50–60 books per year (no, I don’t know the exact number…don’t judge me). Some books were “Meh.” But most were some yummy blend of inspiring, hopeful and challenging. I want to share 10 of those books with you, the 10 that impacted me most. Just a quick note before we move forward. Several books in this list aren’t found in the Christian section of your local Barnes and Noble. Some are, of course, but not all. I can, however, say every book on this list shaped my faith. Here are 10 books that will change how you see the world, along with a short description and a link to purchase each book (Yay, capitalism). I was turned onto this book listening to a podcast sermon (or is it sermon podcast, I don’t know). As soon as the pastor mentioned this book, I knew it was worth considering, and I also knew it would mess me up. 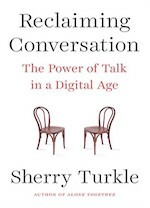 Reclaiming Conversation highlights the devastating effects of a technologically-obsessed culture. As our conversations becoming increasingly more digital, virtues like empathy and self-reflection go by the way side. The challenge before us is to reclaim conversation through human interaction and stop trading in the real world for a digital one. 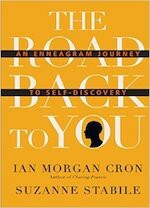 This is a book about self-discovery using the Enneagram. I’ve read several books on this transformative tool, but I appreciate how Ian Cron and Suzanne Stabile simplify things. I must admit, I have somewhat of a man crush on Ian Cron. He destroys the tension present in addressing difficult or sensitive topics with wit and a touch of sarcasm. It’s quite impressive. Call me, Ian. I wrote all about the Enneagram here and here. If you want to know why you keep running into yourself, why you hit the wall in your relationship with God, I recommend the The Road Back to You. Daniel Kahneman is a renowned psychologist who won the Nobel Prize in Economics. 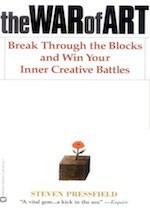 This book is a compilation of his decades of work, an eye-opening walk through the mind. 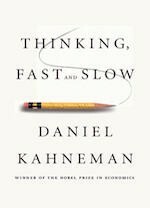 According to Kahneman, two systems (he calls them System 1 and System 2…original stuff) are responsible for the way we think. System 1 is quick, intuitive and emotional. System 2 is slower and more deliberate. He uses these two systems and more than a few stories to illustrate our cognitive biases towards everything from vacation planning to who we hang out with. His conclusion are radically profound and at times shocking. Reading this book is like going on an imaginary tour through the Holy Lands with a village elder. 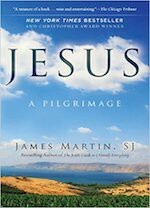 Through storytelling and spiritual insight, James Martin makes you feel as though you’re walking in Jesus’ world, first-century Galilee. I remember finishing the book with a better picture of Jesus. If you struggle with a Jesus who always seems distant and disconnected from your everyday life, this book will give you hope. The basis for this book, a quote by Theodore Roosevelt, is worth the price of admission, or the book, whatever works. 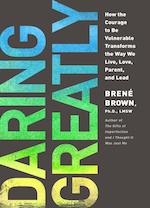 Daring Greatly challenges us to re-think vulnerability. We know it lies at the heart of difficult emotions like grief and fear, but vulnerability is also the gateway to life and joy and connection. Without vulnerability, there is no life. This book is powerful. Deep Work is all about impact and legacy. In a digitally-distracted culture, Cal Newport is a voice in the wilderness, a much needed one. 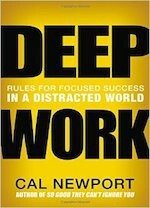 Deep work is all about focusing your mind and energies on a specific task, and (surprise, surprise) it’s always the task in front of you. That was a big takeaway for me, as a follower of Jesus. For all the good technology brings, it erodes our ability to be present, to give all we have to something and ultimately to impact the world. This book will wreck you, plain and simple. At the heart of this book is the broken criminal justice system and one man’s relentless passion for justice and mercy. 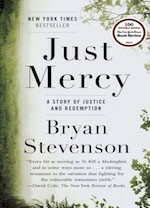 Just Mercy will ignite a flood of emotions (it did for me, at least): anger, shock, grief, and ultimately hope. I arrived late for this train. The War of Art came on the scene years ago, but its words are relevant as ever. This is a manifesto for anyone who desires to do anything meaningful. You will encounter resistance, and it will assume many different roles. As a Christian, I call this resistance Evil or Satan. Call it whatever, the truth remains. Doing the right thing is hard. Finding your purpose is harder. Resistance gives you a million reasons why you can’t do it, why you need to give up, etc. But Steven Pressfield inspires you to press on and continue to “fight the good fight,” as the Apostle Paul says. 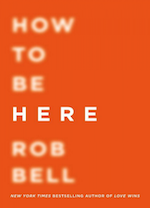 Rob Bell is one of the greatest communicators of our generation. Regardless where you stand on his theology and stuff, I can’t understand how you would think otherwise. In this book, Rob (yes, we’re on a first name basis even though I’ve never met him) challenges us to live right now, fully awake and alive. With a hopeful tone, How to be Here motivates us to silence haters, take action and realize our potential. Though I don’t know Richard Rohr, he is a spiritual father of mine. When I read his stuff, something comes to life in my soul. The Immortal Diamond reveals your two selves. The first is your false self, your ego. The second is your true self, your divine image. Unfortunately most people never find their true identity because doing so requires dealing with the man in the mirror. 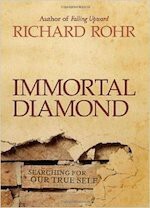 If you’re interested in the deeper questions of life, who you are, why you’re here, etc., I highly recommend Immortal Diamond. Some of these books won’t resonate with you. That’s quite okay. It only takes one book, shoot it only takes one chapter or paragraph to roundhouse kick your current understanding of things, opening the door to a new and better world. Before we go, I would love to hear from you. Have you read a book recently that challenged or inspired you? Leave a comment below and let us know which one. That’s all for now. Grace and peace, friends. Makailee, thanks for the comment!